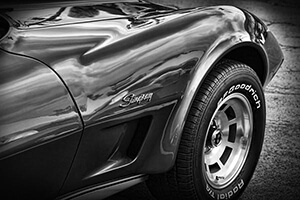 At VetteWork our full time focus revolves around the classic era of the Corvette. Our close group of trusted friends as well as our long-term clients live and breathe admiration for these vintage sports cars. 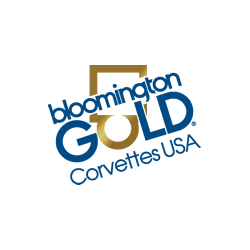 With over a quarter century of judging, appraising and inspecting Corvette's, we have a special appreciation for the corvette enthusiast and their love of this American icon. Considering a vintage Corvette purchase but unsure about what the seller is telling you? Unclear which is the right car for you? Need help buying or selling? Not sure what your corvette is worth? Did you inherit a corvette and need an appraisal? 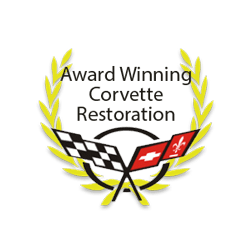 As a NCRS 400+ Level Master Judge (highest level recognized) with over 25 years of experience traveling across the country judging, inspecting and appraising Corvettes many people recognize us as one of the leading experts in all things Corvette. 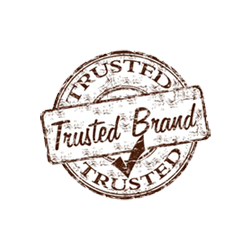 VetteWork is unique because no other firm offers nationwide service combined with our knowledge level and recognition of achievement. The above are performed in-person, unlike my competition who either contract with third party vendors located throughout the country who know very little about corvettes or inspect vehicles from pictures while sitting in a remote office. My competition sends an “appraiser” or “inspector” to do a cursory review. Unfortunately this “expert” has rarely, if ever, inspected or appraised a corvette and has no clue what they are looking at. The result is either an incomplete inspection or inaccurate appraisal value. 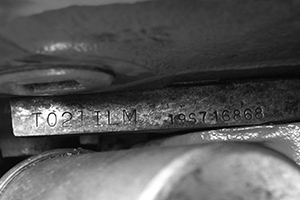 Don’t risk discovering AFTER you bought the car that you overpaid. Click the Pre Purchase Inspection or Appraisal tabs to learn more. 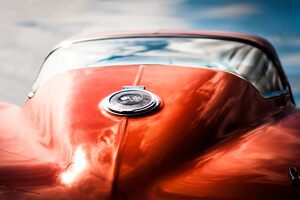 Are you considering purchasing or selling a corvette at a collector car auction? As an existing client of the large auction houses, I can help guide you through the buying or selling process which is unique to auctions. Learn the secrets that the auction houses and dealers don’t want you to know. Through my consulting service, I can educate you about auction house selection, commission structures, reserves, car placement, entry fees, house bids and what happens with an on-the-block no-sale. Consignment sales are becoming a popular option for sellers who are uncomfortable with the idea of strangers coming to their house or who dislike negotiating. Click on the Services tab to learn more. Also check out client cars for sale listed under the Corvette Consulting Tab. I have developed three key value drivers for any classic corvette. These variables are critical in determining market value. Contact me to discuss what they are and how they affect the car you own or may purchase. Resto-Mods are becoming very popular and for good reason. They combine classic looks with modern electronics, suspension and drivetrain. Values and sale prices vary widely, principally driven by build quality. Before you consider a purchase, contact us to learn how we can help. Click the Services tab to learn more. Vettework is proud to announce our new Youtube Channel. Click youtube.com and enter vettework to view the latest updates and become a subscriber. Prices for pre-purchase inspections and appraisals start as low as $395. Consulting and expert witness arrangements are on a case-by-case basis. Vettework serves the United States and Canada. See my prestigious awards below and then get in touch. Taking an old Corvette, America’s only true sports car, a masterpiece that may have been long-since abandoned or forgotten and transforming these rare works of art into show quality cars should be everyone's passion. The pride of owning a Corvette often spans generations with engaging stories for all enthusiasts. The history of this American Legend is inspiring to say the least. Found a Corvette you want to buy and want a pre-purchase inspection first? Not sure what your Corvette is worth? Get an appraisal for selling or insurance. Heading to a show? Get a quote to have your Corvette picked up and delivered. Contact us if expert testimony is needed for court cases or legal proceedings. but not sure where to start? Ask us. to sell? Click here to sell us your Corvette.